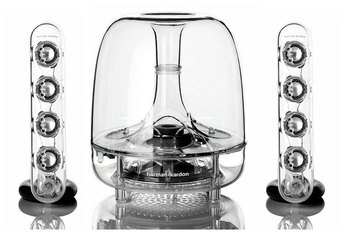 The Airstream WS100 speakers offer great clarity. They are hefty and solidly built. The hinged magnetic base lets you angle them the way you want. 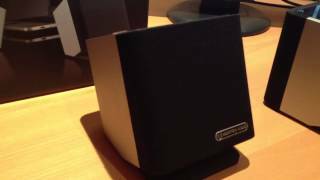 These speakers don't support Bluetooth, unlike many competitors. There's no option for a subwoofer. The remote wobbles when placed on a surface. 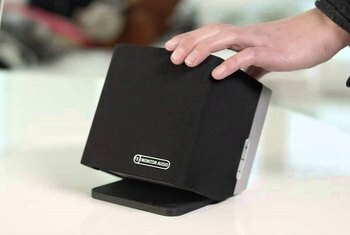 Monitor Audio takes computer speakers up a notch with its Airstream WS100 units. The system packs two 3-inch cone bass drivers and two 3/4-inch C-CAM gold dome tweeters into 5-inch die-cast aluminum cubes. The cubes are solidly built, each weighing 4 pounds. Power output totals 60 watts. 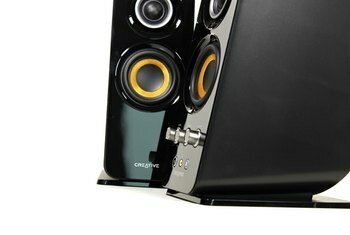 The speakers use the SKAA wireless system, which the company promises eliminates crosstalk, dropouts, clicks and pops. 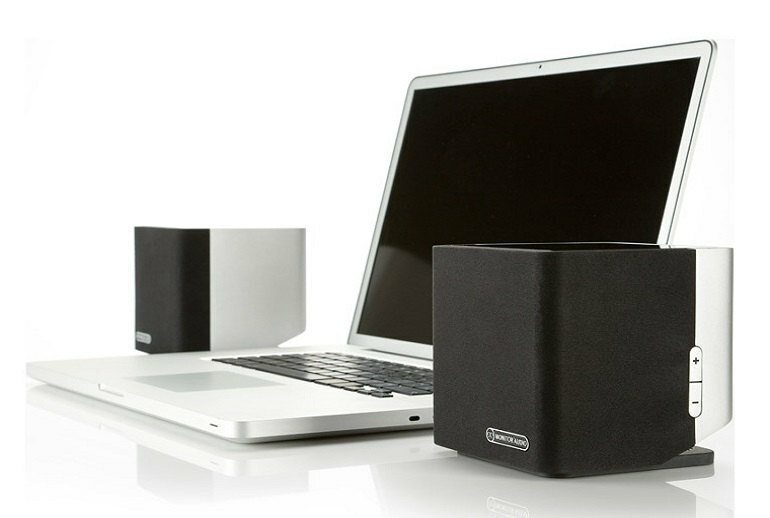 The wireless system requires a dongle that plugs into a USB port on your Mac or PC, and the wireless range is up to 30 feet. On the back of the master speaker is a 3.5 mm jack for a wired connection. A remote is included. 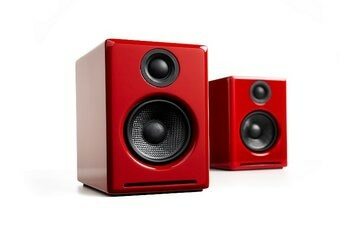 Considering their size, the WS100s are capable of greater scale and dynamics then many rivals at this price. ... Edges of notes are well-defined, while strings flow with an air of both subtlety and authority. 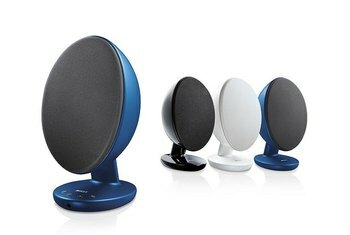 In fact, it's one of the best looking and easy to use wireless music set ups you're ever likely to encounter. The sound quality produced by the WS100s was a real surprise given their price, and even the slight issue with rock music at high volume can’t really tarnish such an exemplary performance. If you're looking for a simple, no-fuss plug-and-play wireless music system, this is undoubtedly it. So the source is clean as can be, but the real stars of the WS100 are the 3in C-CAM (ceramic-coated aluminium/magnesium) cone bass driver and 3/4in C-CAM gold dome tweeter found in each speaker. 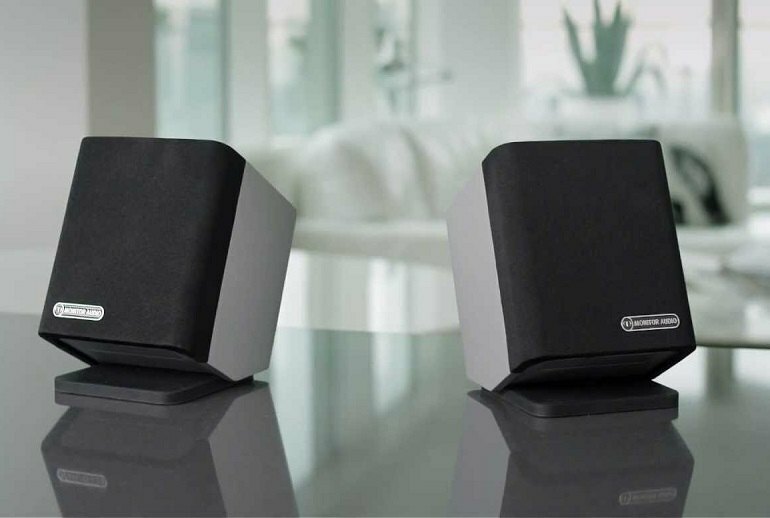 These speakers are enough to worry rivals at twice the price. Build is amazing and that's not something we say lightly about laptop speakers.